Every student has different skill gaps. Whether for intervention or enhancement it is ideal to have students focused on what they don’t know. 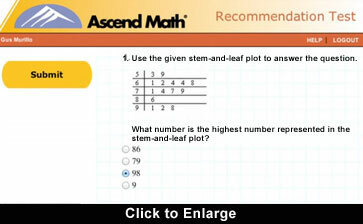 Ascend Math is one of the few math intervention programs to provide a truly individualized study plan for each student. Ascend meets students at their actual level of mastery—identifying skill gaps and tailoring instruction to focus on the most-needed content. Computer adaptive and varies in difficulty based on the student’s responses. Can be completed in one class period. Quickly zeroes in on the lowest level at which the student has a skill gap. 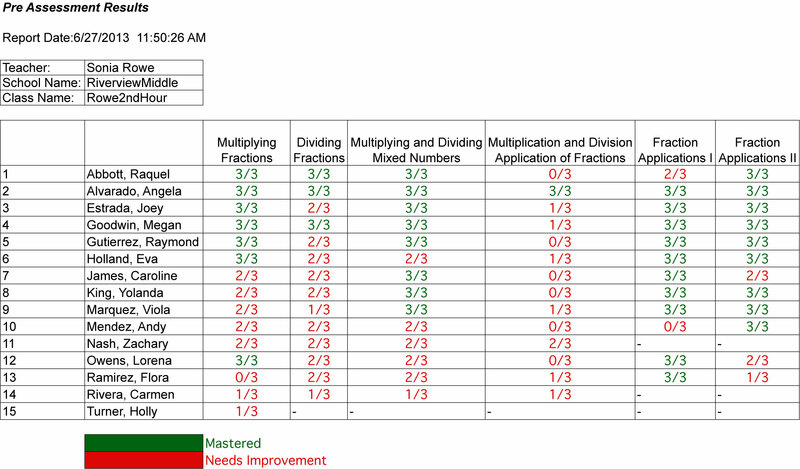 IMPORTANT: Most math intervention programs offer only on-grade level instruction. 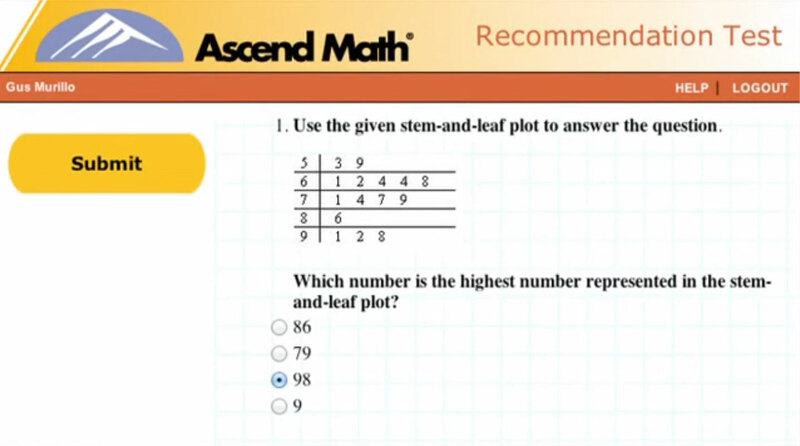 Ascend Math reaches each student at their functional grade level addressing their individual skill gaps. In this way, students with gaps three, four or more grades below level get the help they need. 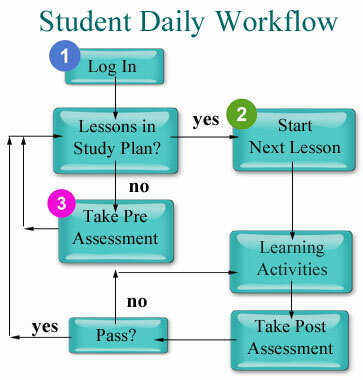 The Workflow Graphic to the right shows the process that begins after students take the level recommendation test. You’ll learn more about learning activities and post assessment on the Award-Winning Content page. 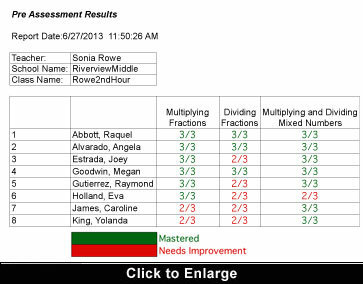 Logging into Ascend, students see what lessons are in their plan including those completed and those yet to complete. If there are lessons in their plan students pick up right where they left off. If this is their first time in Ascend or if they’ve completed the lessons in their plan they will take a pre-assessment on the next unit of instruction in their plan. Once the student has been assigned to a level, the student will take a pre assessment over the first unit of instruction. Ascend Math creates a personalized prescriptive study plan for each student focused on individual need, whether that’s filling math gaps quickly or building an accelerated course of study. In this way, Ascend teachers can address multiple levels of intervention within a single classroom and each student receives a rich, differentiated learning experience. Consequently, students are able to grow two or more grade levels in a semester or less. 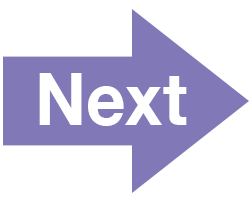 Students complete a grouping of objectives quickly and then move on to the next brief pre-assessment thereby building an individual study plan one piece at a time. In this way, students who have been frustrated feel encouraged as they successfully fill skill gaps quickly. Each of these students is working on different skill gaps at the same level at the same time. Pre-assessment indicates Joey understands all but one objectives. They will be added to his Individual Study Plan. Eva will complete the skill gaps marked in red in sequence. Every objective is correlated to your rigorous state standards.